M1 Derbyshire southbound severe accident, at J28 for A38 Alfreton. M1 Derbyshire - M1 lane closed on entry slip road and slow traffic southbound at J28, A38 (Alfreton), because of an accident involving two cars. A 56-year-old woman has been released after police confirmed an elderly woman was found dead at a care home. M1 Derbyshire southbound severe disruption, between J25 for A52 Brian Clough Way Nottingham and J24 for A6. M1 Derbyshire - One lane closed on M1 southbound between J25, A52 (Nottingham) and J24, A6 (Kegworth), because of a broken down vehicle. Traffic is coping well. 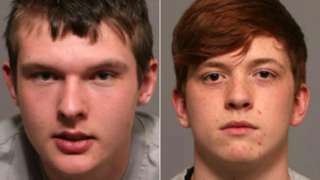 Victim Tim Smith was murdered in his car after meeting his killer through the Badoo dating app. M69 Leicestershire northbound severe accident, between J1 for A5 Hinckley and M1 J21. M69 Leicestershire - Heavy traffic on M69 northbound between J1, A5 (Hinckley) and M1 J21, Leicester, because of all traffic being temporarily held and an accident. M1 Leicestershire northbound severe disruption, between J24 for A6 and J25 for A52 Brian Clough Way Nottingham. M1 Leicestershire - Heavy traffic and one lane closed on M1 northbound between J24, A6 (Kegworth) and J25, A52 (Nottingham), because of a broken down vehicle. In the roadworks area. Leicester City captain Wes Morgan has told the BBC whoever the club chooses as their new manager will have the "utmost respect" from the players. He said "it's not for me to say" when asked about Michael Appleton's chances of getting the job. The caretaker manager guided the Foxes to their first away win of the season away on Saturday after Craig Shakespeare was sacked last week. A note written 50 years ago by rock and roll icon Jimi Hendrix has sold for thousands of pounds at auction - almost doubling its estimate. In 1967 Anthea Connell, from West Bridgford, met Hendrix at a gig in Lincolnshire. He handed her the note written on the back of a guitar strings packet. The note which said, "To Anthea. Love and kisses to you forever. I wish I could really talk to you", sold for £5,700. Anthea is using the money to visit family in New Zealand. Scrum-half Jono Kitto has been released from his contract at Leicester Tigers. The 25-year-old made 29 appearances and scored two tries for Tigers following a move from club rugby in New Zealand during the summer of 2015. After a short spell on loan at Worcester Warriors last month, he has now been released by Tigers. Jono has been part of the first-team squad for the last couple of seasons and we thank him for his commitment to the club, but we have two good scrum-halves coming through the system here and believe the time is right to provide opportunities for them to gain experience in the senior environment." M1 Leicestershire northbound severe disruption, between J21 for M69 and J22 for A50. M1 Leicestershire - Heavy traffic and one lane closed on M1 northbound between J21, M69 (Leicester) and J22, A50 (Coalville), because of a broken down vehicle. An elderly woman found dead in the Thurnby Lodge area of Leicester was at a care home, it has been confirmed. Police investigations have been continuing at Thurn Court care home today while they continue to question a 56-year-old woman who was arrested on suspicion of murder. 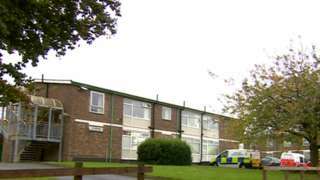 Leicestershire County Care and Thurn Court are fully co-operating with the police and other authorities while the investigation continues." Olympic swimming champion Adam Peaty proves he is on good form after the World Championships with a comfortable win in the 100m breaststroke at the Manchester International swim meet at the weekend. There's concern for the well being of a ginger pomeranian dog that was taken to a vet in Long Eaton with a serious hernia. Ashfield House was told the dog - checked in under the name Frankie and like the one below - had been hit by a car when she was brought last week. But an examination found the dog actually had a serious hernia, which is so severe that her intestines were coming out of her body. Plans were made to operate but the next day three men collected the dog saying they were taking her to a cheaper vets. The veterinary practice where the dog was supposed to be going has not received the dog, prompting the RSPCA to investigate. We are very concerned about the dog as she was very poorly and she urgently needs treatment. We don’t know where she is at all, we have made enquiries but we have not been able to find the dog. The poor dog will die if she does not get any treatment." 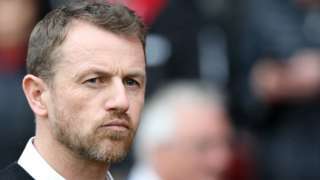 Derby County manager Gary Rowett says he still expects more from his side despite a fourth home win in five matches. Around 70 homes are still without power after a failure in Newark which happened at about 11:00. Western Power Distribution says it hopes to have everything back to normal in the next hour. The Lord Lieutenant of Nottinghamshire has been named as the new chancellor for Nottingham Trent University. Sir John Peace is also chairman of the fashion brand Burberry and Midlands Engine and is trustee of the Djanogly City Academy in Gregory Boulevard. He was previously chairman of the board of governors at the university. Derbyshire Police are doubling the number of officers they have on patrol over Halloween. It follows anti-social behaviour in Allestree last year when cars were damaged, residents were assaulted and eggs were thrown at passing cars. Shops have been asked to limit sales of eggs and flour to under 16s. 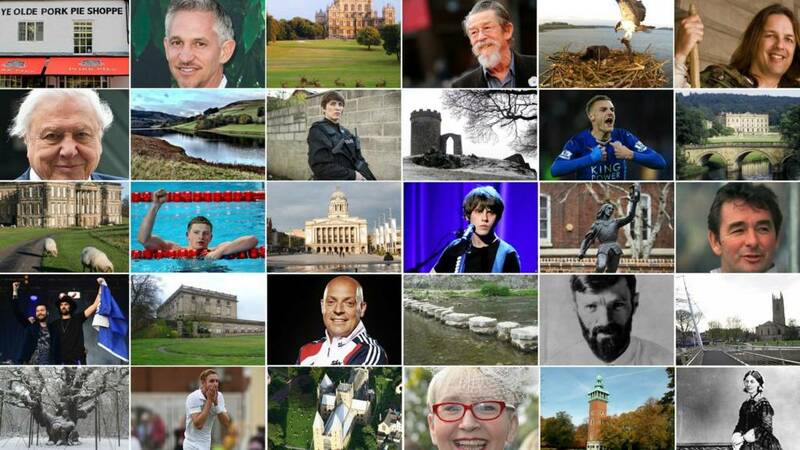 Insp Lauren Woods told the BBC behaviour like that "is not going to be tolerated" this year. Police are appealing for help in finding a 26-year-old woman from Lincoln who's been missing for over a week. Kimberley Reynolds was last seen when she left her home on Witham Bank at about midday on Friday 13 October. It's thought she could currently be in the Nottingham area. Police are asking for her to get in touch to let them and her family know she's safe and well. Anyone with information about her whereabouts is also being asked to contact police.